Dairy cows and petroleum … see, synergies can be found if you look hard enough (Photo: Stephanie Zihms, Creative Commons). It’s all about supply and demand, as the well-educated readers of this blog understand. Cenovus Energy CEO Alex Pourbaix (Photo: Cenovus Energy). “We think there is a strong case for the government to temporarily mandate reduced production for the industry,” Cenovus said in a statement emailed to a CBC reporter in Calgary. Progressive Conservative Premier Peter Lougheed did just that back in 1980 during his battle with Ottawa over the National Energy Program, it noted. Never mind that big oil companies are run by the kind of people who would normally claim markets can’t fail, ever, as a matter of ideological faith. This market failure, though, is a political one, see, so it requires a political solution. “This market failure is the result of policy failures at the federal level that impacted pipeline projects, and in the short term it can only be fixed by the Government of Alberta through temporary mandatory industry-wide production cuts,” the Cenovus statement said. Canadian Natural Resources Ltd. Executive Vice-Chair Steve Laut (Photo: C.D. Howe Institute). “Nobody is making money at this price and this is rapidly becoming an emergency situation in the economy,” Cenovus CEO Alex Pourbaix told CBC radio listeners the next morning. That said, it’s a fact that the Big Five oilsands producers have made pots of money in difficult circumstances in the past. Alberta Premier Rachel Notley indicated yesterday she’s thinking about it – but noted that not every company in the oilpatch agrees with the idea of the government imposing production limits, even with the differential between world prices and the price of Alberta crude from the oilsands as wide as it is right now. “We need to work very, very quickly to address it. We’re going to have conversations and discussions with all the players about the most effective way to move forward,” Ms. Notley said, adding that a decision could be made within weeks. The CBC story with that quote didn’t have a response from the Opposition United Conservative Party, but I wouldn’t be at all surprised Leader Jason Kenney would be delighted to criticize the government for not moving fast enough on that file, just as he has on another example of state intervention – the Trans Mountain Pipeline Expansion Project. Now, let it be said that there’s nothing wrong with governments intervening actively in the economy – it’s their job and despite 30 years of steady neoliberal propaganda it often works very well. But let’s call a spade a spade. What Cenovus and CNRL are talking about is called … supply management. Spoilsport former Conservative leadership candidate Maxime Bernier (Photo: Twitter). The number of what we used to quaintly know as column inches devoted to attacking supply management in Postmedia’s newspapers could probably reach from Alberta to the glimmering blob of quota-controlled green cheese that floats in the night sky. Whether or not to throw Canada’s dairy farmers under the milk truck turns out to be an issue so divisive to conservatives it’s driving their movement asunder, with Stephen Harper mini-me Andrew Scheer taking the side of the farmers, for now, and his former leadership rival Mr. Bernier forming his own spoilsport party to shake Big Milk. Of course, Canadian dairy farmers may be doing OK, but they’re not billionaires like some of the guys who run Big Oil and spread their wealth around to think tanks, slush funds and Astro-Turf groups set up to attack things like supply management in agriculture. We’ve just seen how mad a few Canadian dairy farmers made U.S. President Donald Trump. I imagine things would get quite a bit worse if a Canadian province stopped allowing sales of cheap crude to American refineries to drive the price up. Perhaps Devin Dreeshen, the UCP’s trade critic and former Trump campaigner, could whisper some soothing words in the president’s ear. Still, I say Ms. Notley should go for it and do what Messrs. Pourbaix and Laut suggest. But if she does, she should call it what it is: supply management. As for the Canadian dairy industry, there’s a lesson for them in this too: They should call the obvious results of ending supply management in their industry – lost jobs, abandoned farms, devastated rural communities, and the shipment of profits to another country – a political market failure, for which the only solution is political intervention. Oil companies need the government to impose production limits? Why can’t they do that for themselves? They really don’t know how to collude? Or they don’t trust each other to poach the other’s contracts? Or do they just want ‘cover’ where the provincial government takes the heat for the companies’ failure to fufill their production contracts? Or, like other industries, do they want to be paid by the government to not produce any produce? Wasn’t this sort of supply manage a key element of Trudeau senior’s hated National Energy Program back in the day? EXPAT you are correct about the dreaded NEP by Trudeau and Lougheed fighting for Albertans. Lougheed threatened to turn off the oil/gas taps to other provinces and this may the reason why they won’t to approve a new pipeline for Alberta. Feuding memories last a lifetime. 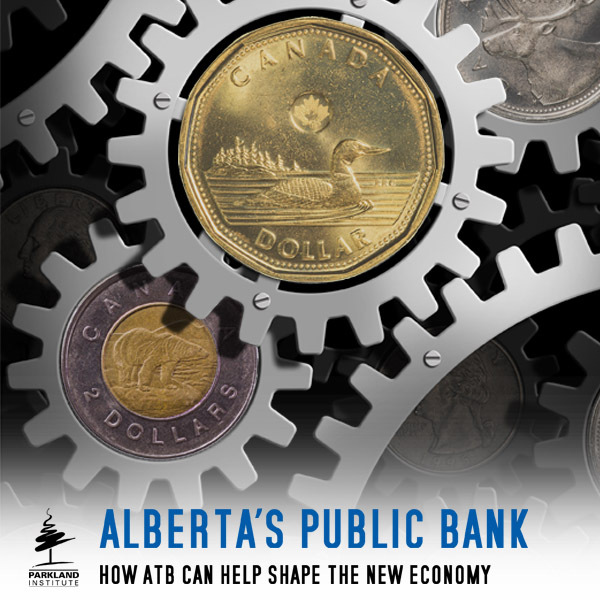 Alberta has done very well economically compared to other provinces over the years and this may be a way other provinces are telling Alberta maybe you can suffer a little now like we did. Richer provinces need to be very careful how they deal with others. We need to remember we are Canadians first. I seem to remember a few years when every newscast included the phrase “booming Ontario economy” while Alberta was in the dumps. When Notley was on stage announcing/promoting here new environmental policies/programs a few years ago she was joined by oil and gas industry leaders who supported her approach. Now some industry leaders are suggesting provincial supply management in the oil and gas sector. How on earth is Jason Kenney and his UCP going to respond to this???? However they do, it should be good for a long laugh. Always enjoyable watching Jason attempting a fancy manoeuvre and exposing his hypocritical underbelly in the process. It is a bit amusing when some of the loudest and most consistent advocates of free enterprise invariably come asking for government help. It usually involves elaborate justifications about why their case is different and why they should get government help, while still holding to their position that everyone else should not. I suppose big oil companies can afford to hire someone (or more than one person) to dream up these nice justifications, which in politics would simply be called spin. Lets start with the central premise – the pipeline problem was created by the Trudeau government. It is certainly a myth that a lot of Trudeau disliking conservatives propagate and have bought into and spend time spreading, but it is not true. In fact, the Federal government approved three pipelines, now two ran into problems with the courts and one was cancelled, possibly for economic reasons. Yes, the Trudeau government did bring in more stringent environmental regulations that led to the end of one project, but it was already shut down by the courts at that time anyways. The problem really started with the uncontrolled development of the oil sands when oil prices were high. It was a total frenzy, like the wild west – exactly the kind of chaotic development former Premier Lougheed and many others warned against. Oilsands developments take a long time to build so they didn’t really think about pipeline capacity. Yes, there wasn’t enough capacity but surely they assumed more pipelines would be be built in the next 5 to 10 years, as their projects were completed and that assumption was their fatal error. It is not the 1950’s any more and governments can not just ram through pipelines quickly or easily. Pipelines to the US are facing similar legal challenges and Trudeau or a provincial government can not be blamed for that. 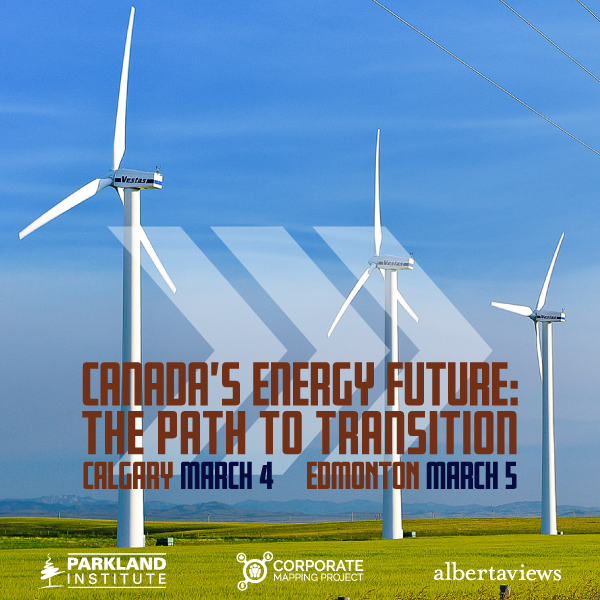 The world has changed greatly, particularly outside of Alberta, and those in the insular head offices of the oil companies have either failed to appreciate it or have been very slow to realize it. It is not Federal government MP’s or cabinet ministers protesting in Burnaby and most of the parties in the court cases against the pipelines are not governments either. I suppose the ‘government’ is a convenient whipping boy for those frustrated energy executives and certainly Conservative politicians everywhere are eager to exploit this myth for political gain (ie. if you vote for us, all these problems will somehow magically go away), but repeating something endlessly does not make it true. Yes, there is a real economic issue or problem here, but our Federal government does not owe anything to these oil companies that invested based on the now obviously shaky assumption several pipelines would be built. Wasn’t this the same group of corporate scam artists that just reported $47 billion in profits for the top 5 members, after paying out over $13 billion to shareholders (most of which are foreign) ? … and, oh ya! … paying some fraction of $5 billion in royalties to the owners of the resource. This irresponsible industry and these irresponsible petro-corps will milk every dollar they can from taxpayers and consumers. They have the past, in every jurisdiction they operate in (except Norway) and they will here. Let’s turn Clausewitz on his head (there’s a handy spike on his helm to facilitate): politics is war by other means. Whether a war on joblessness and poverty, on drugs, on unfettered free markets or supply-side management, politics imposes negotiated rules on a broad range of objectives, winning—for all parties which play by these rules, sometimes called treaties or trade deals—a measure of security of employment, of profitability, of property and heritability, a foundation that can be built upon. You can’t build a mighty pyramid on mush, which reminds of markets, as in, free markets where the tenets of capitalism are never interfered with and nutritional money flows peacefully through a myriad of enterprises, mostly small, local concerns, like diminutive breakwaters of sedges and cattails feeding and replenishing by grace of the sun which, because it’s only demand is we stay in regular orbit, we assume is free and its warming rays never-ending while blackbirds and Siskins whilstle their whistful songs. But you can’t build anything lasting on a fen except, perhaps, crannogs and wicker causeways, and they only because they’re eventually becalmed in rarified black goo, maybe to be exposed by politics and wars too far over the horizons of time to trouble with in the moments of daily routine. The word ‘market’ is, naturally, related to war—or, rather, the strategic threat of it—because, although not usually the field where campaigns succeed (cf Bannockburn), the frontiers between and far from civic nodes—the ‘polis,’ whence ‘politcs,’ BTW—are often geographical features, a wide, unfrozen river, a mountain range, but on more subdued regions swampy wetlands as in Essex or Agincourt, that is, marshes, as in Prippet. And ‘marshes’ is related to ‘marches’ (verb and noun) and ‘martial.’ The marches (cf Denmark, Ostmark, et cetera) are the pales where the kings’ authority and politcs cannot affordabley patrol (beyond which is another, perhaps rival kingdom), thus awarded to dukes, generals of frontiers who make up their own rules, ad hoc, with infamous capriciousness and cruelty. Yet these marches or frontiers offer the greatest opportunity for profitable trade, exposed as they are to lawlessness but safe as crannogs from easy extortions by dukes whose job it is to patrol the strategic efficacy of marshy marches, seldom to impose martial law on the hardy and solicitous frontier marketer fast in his unchivalrous fen, trading what he will for what he would—in short, free. Then the long trip back to the polis or principality, through ducal and/or brigandish depredations, gates and bridges with their tolls and trolls, past mints and remanufacturies of sheriffs and lords who simply wait with snapping jaws agape, knowing little and caring less of the merchantmens’ tribulations thus far, the caravan dissolving after forced marches, with any luck, at the the civilized fair where royalties, taxes, portus tokens and donations to ornate, holy coffers for a safe night at the abbey absorb the rest of the cargo’s worth, save enough profit to return to the pale beyond these expenses and dangers—to the marches, the marshes where bodily tactics are stripped down to ephemeral startegies—and markets free from both politics and war, the two sides of the Clausewitzian coin, finally leaves them alone to haggle over the wonders of their respective, far-off lands. See? Free markets are really beyond the pale, beyond the taxes and pillaging of town and warrior, really the last thing Big Bitumen wants, even though it speaks in warlike terms, of competition, of victor and vanquished by the invisible, mailled hand, they say, of the ‘free market’ which, we should see, is the most politc, if not the most honest thing, it could say—and remind that politics allows for hypocrisies that decry, for example, raising the minimum wage because it would ring the deathknell of faltering businesses—even though the ‘invisible hand’ is supposed to let the unprofitable expire dispassionately. How much more hypocritical, then, that Big Bitumen is, forsooth, definitely not unprofitable, yet begs for the public benefaction. That it’s forthcoming, remind, is also seen by some as politc, if not necessarily prudent. It follows, in conclusion, that because there is no place anymore that’s beyond the pale, no marches or frontiers, nothing exotic anymore to marvel over, every frontier now strategically watched over by generals sitting in the capitols of their satellite interests, not even the dead corrals of dying, dragnetted seas, not in the mysterious citadels of fracked mountains and plains, nor under the newly illuminated Arctic sea floor, then there is no so-called ‘free market,’ no ‘invisible hand’ except for the two-fisted conjuring of politics. Is there nothing to be done? Well, there’s always Mars, named after the god of war, whence ‘martial,’ thence ‘marches,’ ‘marshes’ and ‘markets.’ The new frontier? The money they’re spending on it suggests it is, hopefully to accommodate our undying quest for frontier, for profit somehow, somewhere where neither politcs nor war can go. So here we are. The hard-core, anti-pipeline environmentalists are probably cheering right now, chortling about the “last gasps of a dying industry”. But what about the thousands, nay tens, maybe hundreds of thousands of Alberta families whose livelihoods depend, directly or indirectly, on the oil & gas industry to put food on the table, roofs over their heads and clothes on their backs? (OK, and gihugeous RVs in their driveways, but I digress). 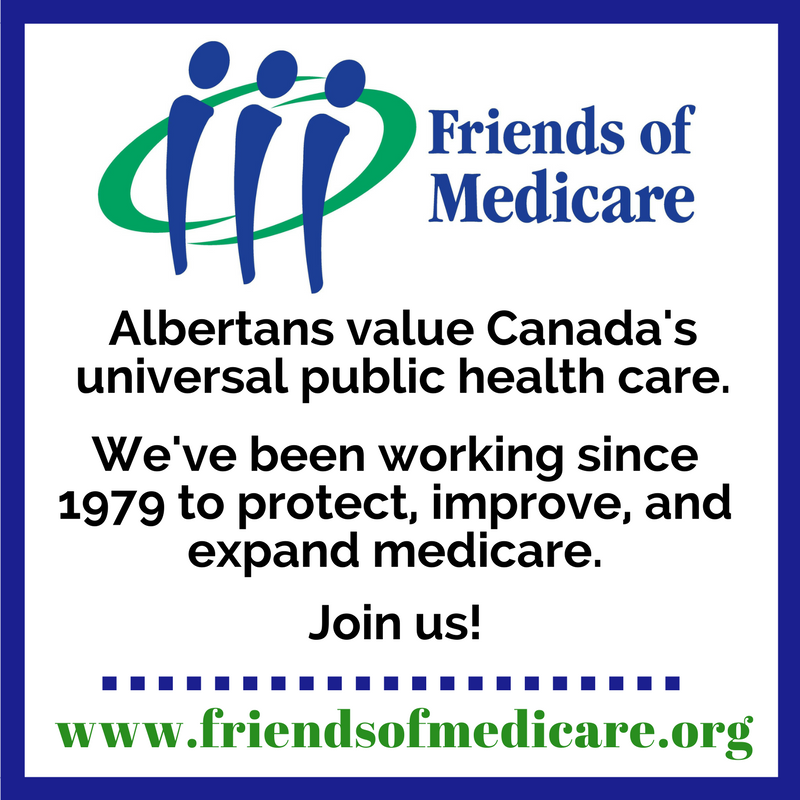 What we are seeing is the rest of the country deciding that Alberta families can just be thrown under the bus, without so much as a by-your-leave, or a credible plan for an orderly transition to a low-carbon labour market. Of course we need to wean ourselves off oil & gas, but it has to be a true weaning process, not cold turkey, so people in those jobs can pivot to new ones that can sustain their families. Right now, we aren’t seeing that. When the ‘patch is booming, people with only a high school graduation certificate, or perhaps a trade ticket but sometimes not even that, can earn the kind of incomes normally associated with a mountain of post-secondary education debt. Is it any wonder that downturns like the one we are now living through are seen as an existential threat here? What do they do when those jobs go and don’t come back? These remain unanswered questions. Starting in 2008 Corporate Ethics International(corpethics.org) started organizing a campaign to keep oil produced in the oilsands landlocked so that it could not recieve international prices. It organized and recieved financing for a campaign that has kept new export pipelines in Canada from being built to this day. Canadian governments have also seemed unable to create a regulatory environment that can get pipelines approved. This has been a huge benefit to the U.S. as they have been the sole purchaser of our heavy oil. They have built refineries in Texas for the sole purpose of refining heavy oils from Venezuala, Mexico and Canada. Due to Venezulala’s inability to produce enough oil at present heavy oil at these refineries is now worth more than WTI if you can get it there. In my opinion a combination of events has created the mess we are now in and has been a great benefit to the U.S. The International Energy Agency is projecting by 2025 the U.S. will be the largest oil producing country in the world. The question is what will Canada’s fate be by then? Will this proposed pro-rationing of oil production in Alberta help in the short term, only time will tell. Enjoy your day. I may have slept through Economics 101 and misunderstood the basics so I hope someone can enlighten me. I thought more supply meant lower prices and less supply meant higher prices . That would suggest that this call for supply management makes sense. However, this rationale seems to fall apart when one takes into account Big Oil’s complaint that it is the lack of pipelines causing the low prices. After all, doesn’t a shortage of pipelines amount to supply management by lowering the volume of oil that gets to market ? What am I missing ?